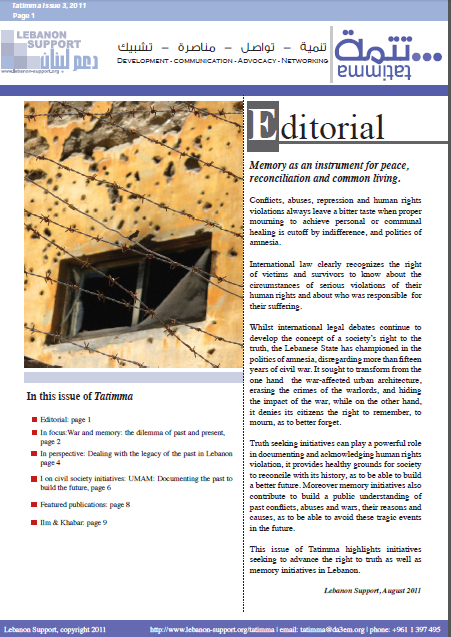 The History of Conflicts Project aims at understanding conflictuality in Lebanon from a historical perspective, and analysing the forms and contestations of political violence in Lebanon. The History of Conflicts Project makes available an interactive mapping of political violence occurring between 1975 and 2008 in Lebanon, interactive timelines of different periods that saw an escalation of violence, a database of post-1990 reconciliatory initiatives in the country, and an aggregated online library on themes pertaining to historical conflicts in Lebanon. Lebanon Support intends to develop, within this project, more qualitative and quantitative components on the tensions, conflicts, and war genealogies in Lebanon. A mapping project by Lebanon Support in partnership with the Forum Civil Peace Service (forumZFD). 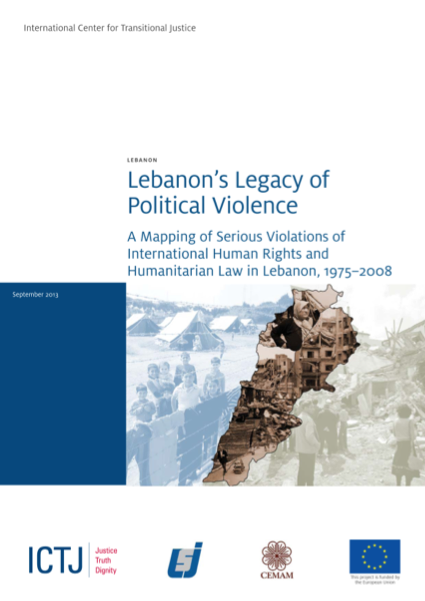 A mapping project by Lebanon Support in partnership with the International Center for Transitional Justice (ICTJ) and Friedrich Ebert Stiftung (FES) in Lebanon.